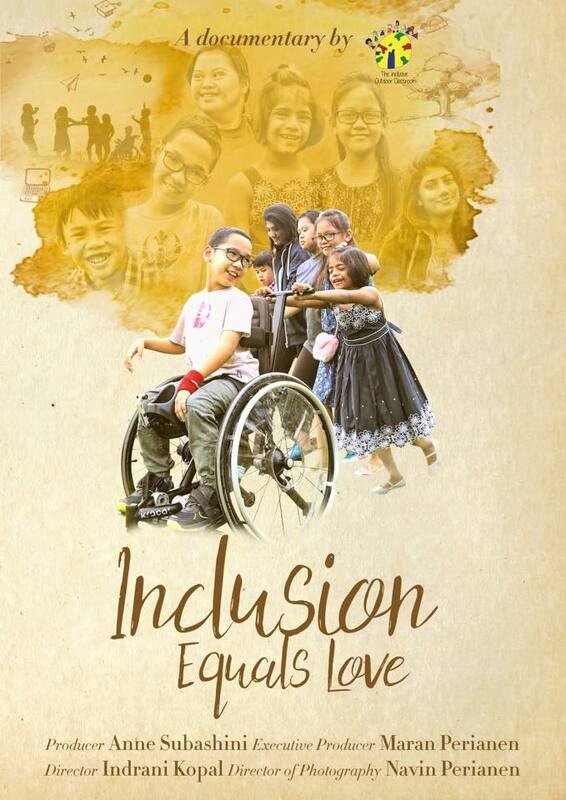 Inclusion Equals Love is a documentary made by award-winning Malaysian filmmaker Indrani Kopal that was commissioned by The Inclusive Outdoor Classroom, a community project by Inclusive Space Services. It is a special film that examines the successes and frustrations of parents and students seeking inclusive education opportunities in mainstream schools, rather than just schools catering specifically for individuals with special needs. The stirring portraits show us how inclusion not only makes life better for those who need it the most but also for everyone who gets involved. The issues are personal yet national in scope and the discussion necessary to move humanity forward. The screening will be followed by a Q & A session with the film producers.